This Was The Dream, Two Years Ago | What Is? Around November of last year, I got the news that they will be performing March 31st, 2013. I wasn’t so sure at first if I could get to watch them, but the thought of not seeing them live for the second time, it’s kind of disturbing. Haha! So, when opportunities come and grab your hands, you should take it and never let go. Lol. What am I saying? We were even more giddy when the 31st of March came in! As for me, The Script would be the first mainstream foreign band I will watch…ever. I know that they are fantastic; their songs, their lyrics, they’re genius! I got some expectations and I believe that ALL of those were met and so much more when I got to watch them live! Haha! It was amazing! The Script opened the show with their single Good Ol’ Days – which happens to be one of my favorite songs in their #3 album – and just like that, the whole crowd went crazy. It was sooooo magical! The concert started 8.45pm and lasted for about an hour and a half. Their encore on You Won’t Feel a Thing was a wild one too since they surprised everyone when they performed again. Danny appeared in the Patron area going to the stage = Crazy! The Script gave an astonishing performance! 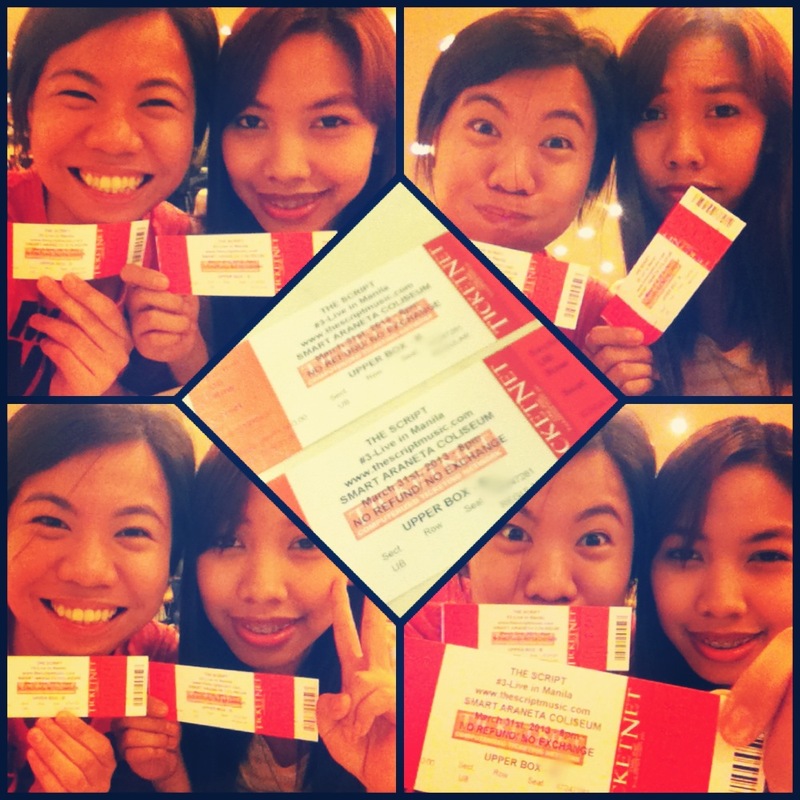 And they were generous too when they sang Good Ol’ Days one more time to end the concert. :) I am thankful that I was there. I hope that they will be back soon! Like next-year-kind-of-soon! Haha! It was definitely a night to remember. 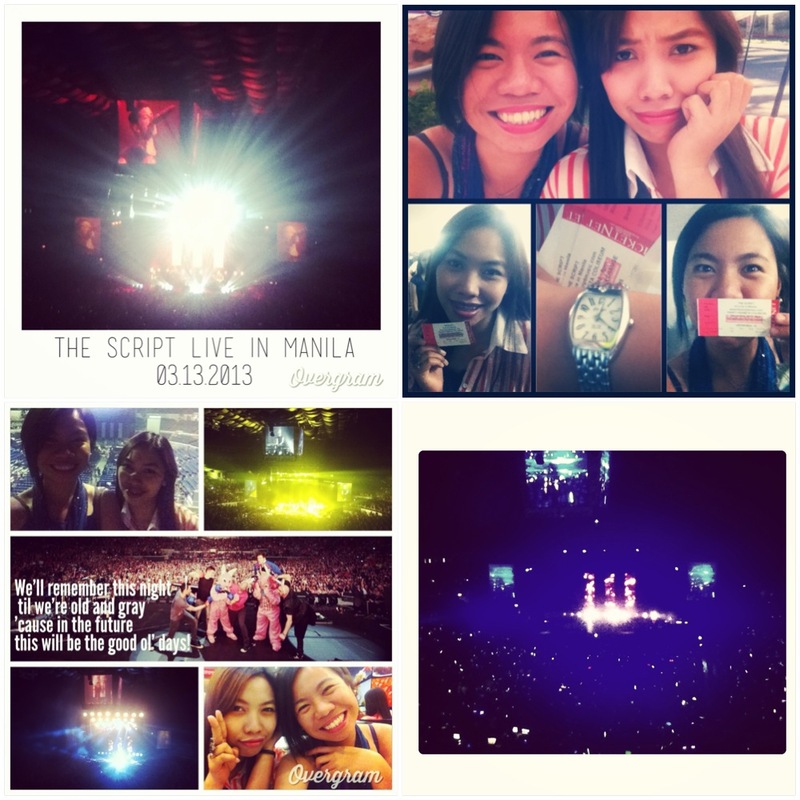 This entry was posted in Fascinations, Inspirations, Journal, Music and tagged #3 World Tour, Araneta Coliseum, Concerts, Danny O'Donoghue, Glen Power, Kriselle Pantig, Live in Manila, March 31 2013, Mark Sheehan, Mayu Alapan, The Script. Bookmark the permalink.